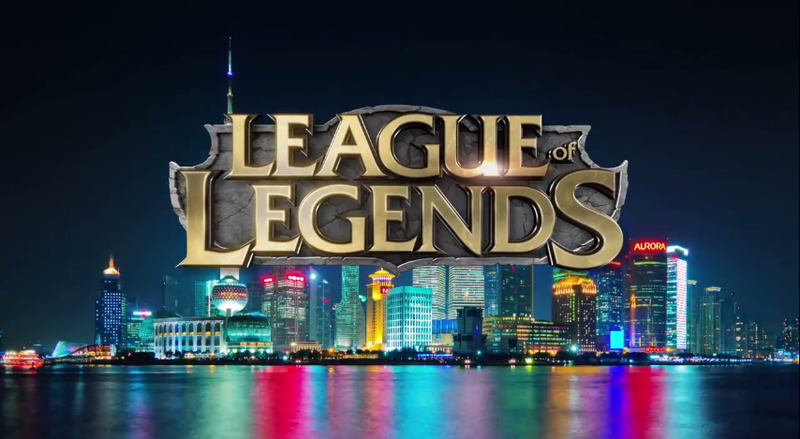 Three days ago, Riot Games quickly pushed an PBE update to League of Legends and recalled it before we even had time to piece together what happened. But today, that same update has been pushed and we can finally get a grasp on the full picture. There are a lot of changes already considering that the last patch was just released five days ago. Twilight Shroud ( W ) cooldown lowered to 20/19/18/17/16. Summon: Tibbers ( R ) mana cost reduced to 100 at all ranks from 125/175/225. Summon: Tibbers ( R ) now reads that he lasts 60 seconds, up from 45, but does not state that his damage, health , armor, MR, and attack damage increase with rank. Blaze ( Passive ) changed to 8% of their maximum health over 4 seconds from 2% per second for 4 seconds. Onslaught of Shadows ( R ) no longer deals additional damage when he finished charging. Renewal ( Mantra’d W ) now heals instantly for 20% of Karma’s missing health then, if the link is not broken, heals Karma for the same amount. The old version only healed Karma for 25% over the duration of the tether. Taste Their Fear ( Q ) isolated bonus damage changed to 45% at all ranks from flat 100/145/190/235/280. Evolved Taste Their Fear ( Q ) now deals bonus physical damage equal to 8% of target’s missing health. This bonus can be increased by isolation. Old ability dealt 12% of missing health only if enemies were isolated. Void Spike ( W ) now slows for 20% for 2 seconds. Void Spike ( W ) mana cost reduced to 55/60/65/70/75 from 60/70/80/90/100. Evolved Void Spike ( W ) can no longer consumes passive. Void Assault ( R ) cast again time increased to 12 seconds from 10 seconds. Evolved Void Assault ( R ) no longer reduces damage taken while in stealth but can now be recast 4 times. Ultimately we just wanted to increase your viable choices when picking evolutions. 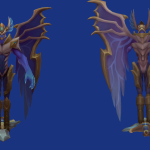 Kha’Zix was getting huge damage, high poke, and great utility from evolving Void Spikes. Now Void Spikes gets a slow as part of the base skill, so W is a reasonable one-point wonder. Evolving and maxing it first also works though, just not so well that it dominates the other skills. Taste Their Fear’s evolution was previously reliant on having targets isolated. Now it works whether they are isolated or not, but does more damage against isolated targets, making it a more reliable choice. Ring of Frost ( W ) cooldown lowered to 16/14/12/10/8 from 18/16/14/12/10. Frozen Tomb ( R ) damage lowered to 150/275/400 damage from 150/300/450 damage. For a control mage with a kit she has, Lissandra was throwing out a lot of front-loaded damage in team fights. The intention of these changes was to lower her damage, but to also increase her crowd control abilities. These were made to better highlight her core strengths as a strong DPS mage with high in-fight control. Titan’s Wrath ( W ) basic attack bonus damage changed to 40/55/70/85/100 ( +.4 AP ) over 2 seconds from 30/55/80/105/130. Glacial Prison ( R ) stun reduced to 1.25/1.5/1.75 from 1.5/1.75/2. Burnout ( W ) basic attacks now extend duration of burnout by 1 second to a maximum of 4 seconds. Flame Breath ( E ) now deals 80/110/140/170/200 ( +.6 AP ) amagic damage to all enemies it passes through and debuffs them for 5 seconds. Basic attacks to debuffed targets deal 25% of Flame Breath’s damage on hit. Dragon’s Decent ( R ) no longer grants bonus armor / MR, instead now generates 1 fury very 15 seconds and basic attacks now generate 2/3/4 fury. New passive now grants her 5 bonus armor and mr, increasing by 1 per level and going up more in Dragon form. Cost reduced to 325 from 350. Upgrade Cost increased to 675 from 650. Combine cost increased to 475 from 450. Upgrade cost increased to 775 from 750. Health reduced from to 60 from 80. Unique Passive now blocks 8 damage from champion basic attacks up from 6. We’ve moved Malady’s passives to the two other Attack Speed items to further solidify Nashor’s Tooth’s niche role as an Ability Power focused auto-attacker item, while moving the magic shred onto Wit’s End to better synergize with magic damage based fighters (even for those that don’t deal magic damage, Sunfire Cape synergizes quite well with Wit’s End). Malady has been removed as it has simply been a poor fit in the current space that it was in. Unique passive changed to guaranteed 70 bonus magic damage on hit to monsters from +10 true damage and 25% chance for 300 bonus magic damage on hit. Combine cost increased to 850 from 430. Has an additional, new Unique Passive: Basic Attacks deal 15 ( +.15 AP ) magic damage on hit. Cost decreased to 900 from 950. Attack damage lowered to 35 from 45. Ability power reduced to 40 from 50. Instead of simply granting 5 magic resist and stacking 4 times, the Unique passive now STEALS 5 magic resist from target, stacking up to 5 times. Life steal increased to 15% from 10%. Passive now deals 110 bonus magic damage to monsters on hit instead of 25% to deal 500 damage to monsters and minions. These changes are currently tentative. We just want to increase consistency on Madred’s and Wriggles in order to let players plan their jungle routes better with these items. There were a lot of odd cases where junglers would accidentally steal a buff from their teammate due to a random proc, or a jungler would fall behind because they weren’t getting enough procs. Overall we had to lower the damage output in comparison to the old Madred’s and Wriggle’s (if you simply average out the old Madred’s and Wriggle’s damage by four) because of the consistency involved and the fact that it never deals “overkill” damage, where it would proc on a small creep (or on a near-dead jungle unit), thereby wasting its damage. We’ve increased the initial spawn times of jungle creeps to get rid of the frustrating experience advantage players could get by killing certain jungle monsters before laning phase begins. This was a much requested change from a lot of pro teams around the world, as the only real counter was to switch lanes or to try to prevent it altogether. The other changes are to reassure junglers since they’ll feel like they’ve “lost” a full camp clear since they won’t be able to start wolves or wraiths before heading to their buffs. So Elder Lizard and Ancient Golem will give more EXP, and jungle camps will spawn a little faster. Faster spawns will also help some champions who have exceptionally high clear times and want to just stay in the jungle. But that’s not all that was included! 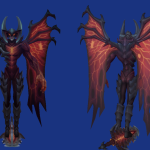 We’ve also got our first look at Aatrox’s in game model, Ghost Bride Morgana, and Woad King Darius (previously Norse King Darius). And with that we can all finally breathe a sigh of relief as that’s the end of today’s League of Legends PBE update. What are you the most excited about? What do you think about the potential jungle changes? Let us know in the comments!